In America, we tend to believe that bigger is better. We love super-sized meals, big SUVs, and larger-than-life athletes. However, there are times when smaller can be the better choice. For example, we exercise to lose weight, and a smaller car can give better gas mileage. 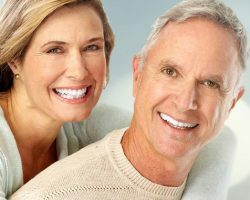 When it comes to replacing your teeth, dental implants are a great choice. The implanted titanium root protects your jawbone from deterioration. It also provides the same strength and stability as a natural tooth. But there are times when you have a choice between a regular-sized dental implant and a mini dental implant. Not every missing tooth gives you this option, but if you have a choice, which should you go with? Here are cases when mini dental implants are probably better than regular-sized ones. Your jawbone has deteriorated from missing a root for too long. Your natural teeth have roots that extend deep into your jawbone. That’s what helps give strength and durability to your teeth. But it also gives stimulation to the bone tissue in your jaw. Every time you bite down, you transfer pressure to the bone through the root. When the root goes missing because the tooth is gone, the bone tissue begins to deteriorate. Because implants are surgically placed in your jawbone, you need sufficient, healthy bone tissue to hold onto the implant. Otherwise, your jaw could actually get hurt by the implant, or the implant could fail. Mini implants are much smaller than regular ones. That means they can be placed where it wouldn’t be safe to put regular-sized implants. Your jawbone is naturally thin where you’ll get the implant. Along the same lines, not every part of the jawbone is the same thickness. You might need to replace a tooth where your jaw is thin. Some people are just born with a jawbone that’s thinner or more narrow than most, meaning there could be lots of places where the bone is too thin. Trying to force a regular-sized implant in those spots could be disastrous for your jawbone. In these cases, a mini dental implant can often be used safely. You cannot wait months for the site to heal. A dental implant procedure is oral surgery. With regular implants, this requires cutting a flap in the gums to expose the bone underneath. Then the implant is placed in the socket. However, Dr. McDonald would not be able to put the replacement tooth atop the implant until it was fully healed. Otherwise, pressure from chewing could ruin the bone that’s trying to fuse with the implanted root. Because regular implants are bigger, this could mean waiting 2-3 months or longer. Mini implants are smaller and require less surgery to place. This means you can get the replacement tooth put atop the implant in a few weeks instead of months. You need to replace a small tooth. Because of their larger size, regular dental implants are great for replacing a larger tooth like a molar. If the tooth is bigger, it makes sense to make sure the implanted root is bigger as well. However, not every tooth in your smile is the size of a molar. Some, like your incisors, are much smaller. Trying to use a regular-sized implant in the space left by a missing incisor is like trying to parallel park a Cadillac in a space left behind by a Mini Cooper. It’s just not safe. Because mini implants are much smaller, you can replace a missing tooth that’s too small for regular implants. Your need something to hold onto your dentures. Although each tooth in your smile has a root, it can be impractical to use a dental implant (regular or mini) to replace each one individually. That’s part of why dentures are still around. They are great at replacing a full arch of teeth. But traditional full dentures can have problems. Sometimes they slip or slide around in your mouth. Worse, they can even fall out unexpectedly. To skip those embarrassing moments, you can use mini dental implants to hold onto your dentures. You want something more affordable. There’s an old saying that you get what you pay for. While there’s truth to that, it’s also true that you should save money when you can. Because mini dental implants are smaller than regular ones and require less surgery, they can be more affordable. Not every missing tooth can be replaced with a mini implant, but there’s no harm in asking Dr. McDonald if that is possible. 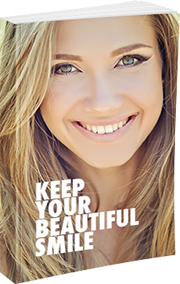 Again, not every case allows you to choose between mini and regular dental implants. But there are many times when the mini implant is simply the better choice. Call us today at (989)-796-4848 to see if mini dental implants are good for you.